The way the film slowly dribbles out the finer points of the story worked great to keep the movie from feeling like just any old revenge quest. You spend the first half wondering just how all the details are going to come together, and it kept me glued to the screen. But what also had me was the somber tone. It mostly follows Shizuka in the first half, and she’s clearly still in shock from her assault. The almost emotionless tone of the film perfectly matches her traumatized mind and put me into her head despite, or rather because of, its almost complete lack of emotion. While this worked marvelously during the hunt for the demon, the film starts to lose steam towards the end. A lot of this is because it gradually shifts focus onto the wizard, who was far less interesting a character. But an even bigger part of the problem comes from the action. The subdued tone of the film sticks around even when the action starts hitting fast and fierce, and the same mood that worked so well in the beginning doesn’t work at all for the climactic battles at the end. They too feel dry and emotionless, even thought the film clearly intended to make them dramatic. All the concern and attachment I had for Shizuka simply bled away in the apathetic storytelling of the film. It’s a shame that there is so little excitement here, because the fights are pretty impressive. The magic is huge and catastrophic. The monsters are brutal and imposing. The villains are sinister and deranged. It has all the right elements for some good action, but it doesn’t give them the impact it needs to make them entertaining. What the film also lacks is some good creativity. The monsters are rarely more than simple big-muscled guys. The magic is impressive, but never unique. And the plot once it reveals all its secrets is little beyond the generic. 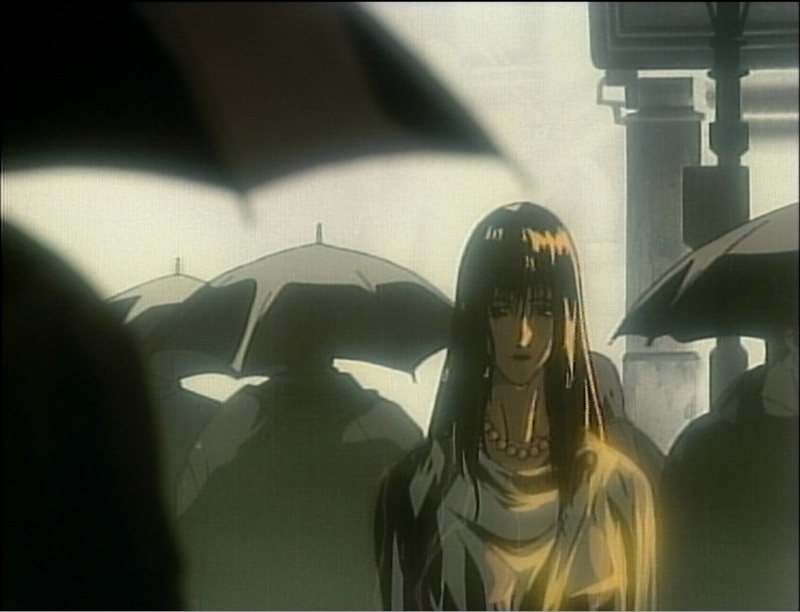 It has none of the downright disturbing elements that (for good or bad) made Demon City and Wicked City so unique and memorable. As much as it tries, Twilight of the Dark Master just can’t live up to the power of those films it tries to emulate. These problems became more apparent as the film wore on, and by the end I was ready for the credits to roll. It’s not a bad film by any stretch, but even though it started mysterious and intriguing, it just couldn’t live up to what I had hoped for from a dark magic, demonic invasion anime. It has some great style, but unfortunately it doesn’t have much substance underneath.